Okay. I have a cold. This means that I am just sick enough to be extremely annoying. When I’m very ill, I will continually insist that I’m fine; when I have the sniffles I will be very vocal about my absolute certainty of my impending demise. So, I feel craptacular. As anyone who is, or is very involved with someone who is, a diabetic will know – any sickness means your blood glucose will increase. This doesn’t help with the craptacular feeling. Now, because I’m sick (and/or lazy) I didn’t carefully read the label. I assumed this was sugar-free. Or at least extremely low sugar. I was pretty darn wrong. 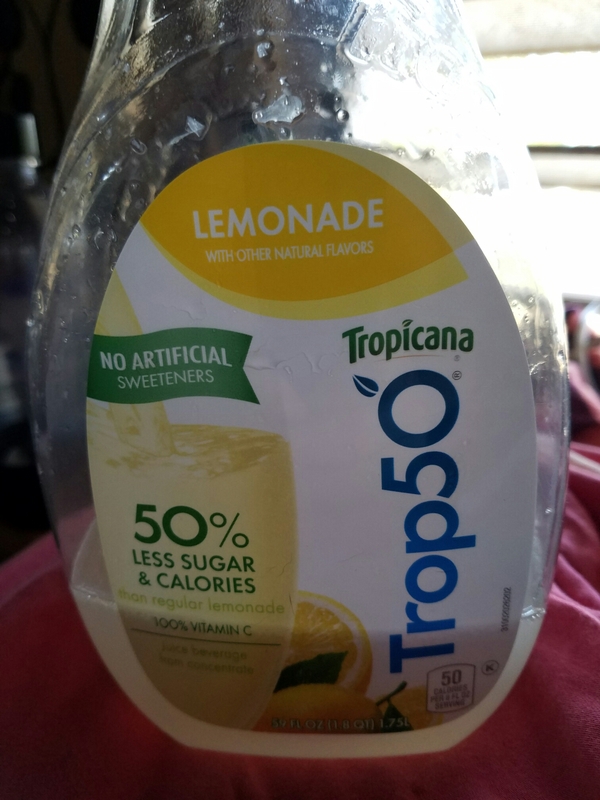 I mean, it isn’t horrifyingly bad, but considering I drank the first half of the bottle (3.5 servings x 12g per serving = 42 grams of carbs) while grumpily stomping through the grocery store yesterday, and almost finished the rest of the bottle this morning (3 servings x 12g = 36g) which, combined with my cold, led me to a post breakfast blood sugar of 238mg/dL. Well….crap. 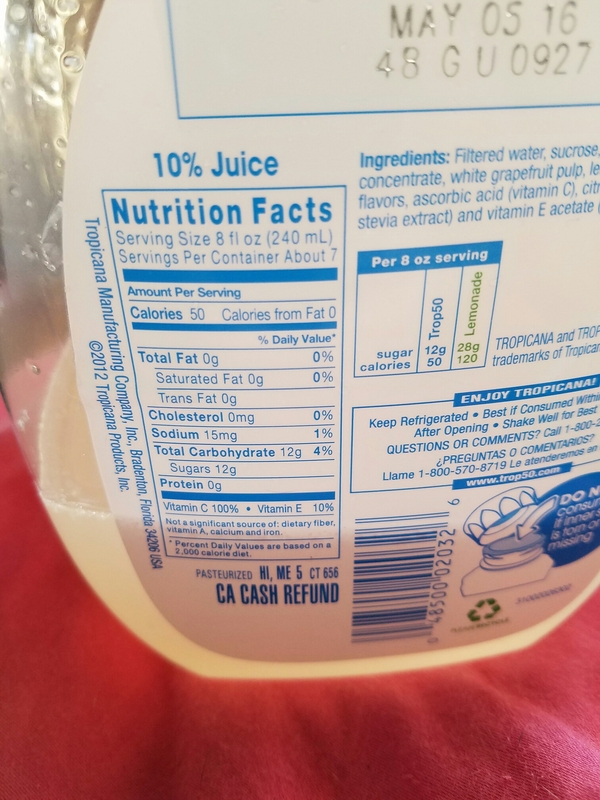 I wouldn’t be so annoyed except that the lemonade wasn’t tasty enough to be worth the insulin, ya know? If I’m going to “spend” insulin, it’s going to be on the most delicious thing that I really want. Not a subpar bottle of lemonade. So, always check the label–even when you’re sick and whiny.